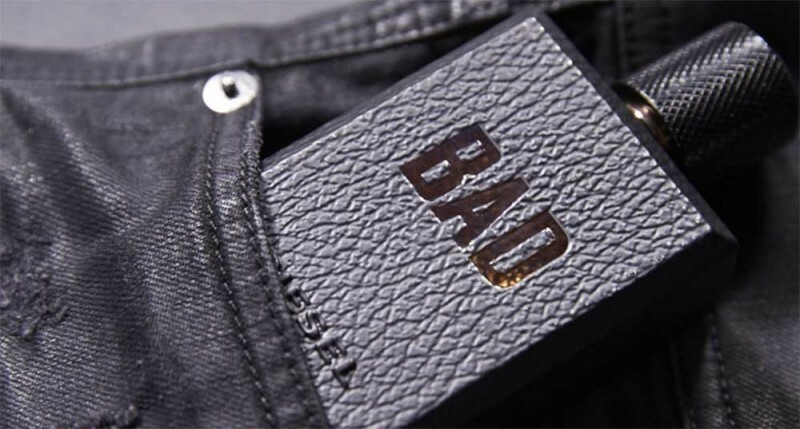 Daring and sophisticated olfactive signature, Bad is the first scent combining accords of tobacco and caviar to create an addictive, pulsating, yet fresh woodiness. The game of seduction starts with an exciting rush of citrus notes and cold spices. Revived by cardamom and lavender, bergamot bites you by surprise… Then, like a trickle of sweat on a man's chiselled body, the saltiness of caviar notes adds an addictive sense of eroticism. Provocative. Salivating. Rough and masculine, tobacco and iris roots turn up the heat. These intoxicating notes finally make you lose control. 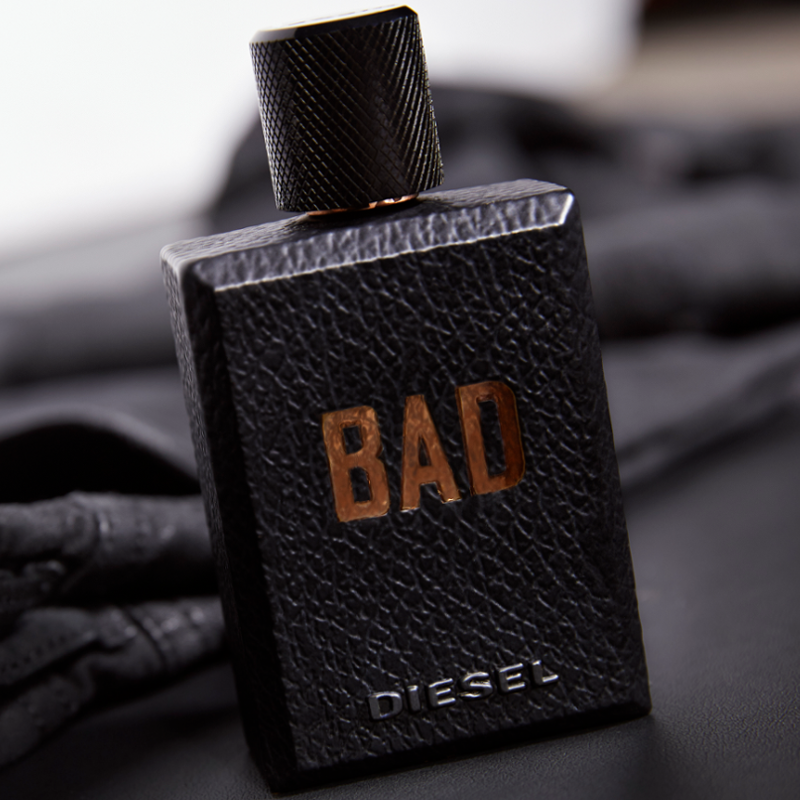 Covered in what seems like grainy black leather, the Bad bottle comes with seductive, masculine looks, hinting at the classic black leather biker jacket. Introducing a technical breakthrough, the leather-like texture is in fact micro-engraved glass. It’s the result of an innovative engraving and printing technique. Although at first sight the bottle seems impenetrable, the transparent Bad logo allows a look inside. Its blazing copper interior gives the impression that the bottle is burning from the inside. Available as 35ml, 50ml, 75ml, and 125ml EDT. As I see it Diesel Bad for Men EDT has been designed for a macho – it is straightforward, mature, masculine, and even a bit brutal in looks. The pyramid of the notes among others includes bergamot, lavender, cardamom, and some ghost of caviar, which my nose has never caught. Instead for me it is too much tobacco (it is supposed to be elegant, but it is a bit stuffy) – and definitely not the fragrance to be worn to the office. The EDT lasts for solid 5-6 hours which is a good thing. But it is, as well as most part of renowned brand fragrances is overpriced, and not as original, as one may wish. To summarize, it is a spicy scent that can be used occasionally, but do not expect it to be something special. 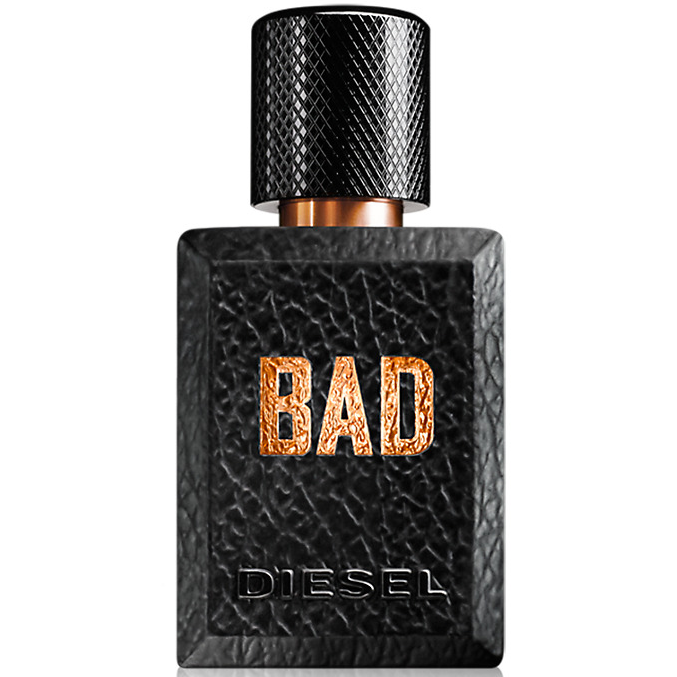 Diesel Bad for Men EDT has a fresh, masculine and spicy scent to it which makes it worth buying. 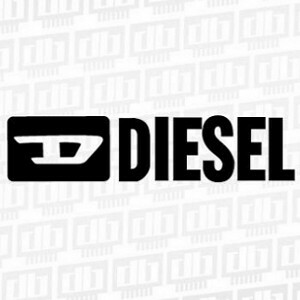 The bottle design looks a bit like a brick (no offense) and i can barely see the diesel logo because it is camouflaged within the background design of the bottle up close i can see it but from afar i can't, nevertheless it has lasted pretty much all day and thats what makes it a lovely fragrance. i would recommend it. - A fresh and spicy EDT. - Highly wearable. Suitable for day or evening. A fresh and spicy men's EDT that's suitable for day or evening.